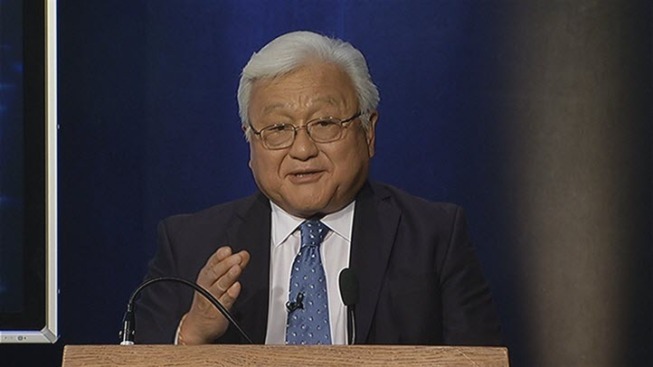 Rep. Mike Honda, D-San Jose, remained ahead early Wednesday morning despite a spirited challenge by fellow Democrat Ro Khanna to represent the 17th Congressional District. Honda, elected to the seat in the U.S. House of Representatives in 2000, was leading 53 percent to 47 percent over Khanna with 100 percent of the precincts reporting as of Wednesday afternoon. Still, Khanna's camp hadn't conceded. An email his campaign sent out at 3:16 p.m. on Wednesday. said the late absentee ballots have yet to be counted. "There are still over 40,000 votes outstanding that need to be counted, and we probably won't know the exact outcome of this race for several more days," the email said. "So while we're waiting for the final result, I wanted to say thank you for standing with me." But NBC Bay Area political analyst Larry Gerston said on Wednesday that assuming there are still 40,000 votes left to count, Khanna would need 55 percent to "make a race." Khanna, a 38-year-old lawyer, ran in part on his background in technology and as a former commerce official for President Barack Obama's administration in a district that includes some of Silicon Valley's major tech businesses. To the 71-year-old Honda, the election was about his record of service for the 17th district, specifically his landing $900 million in federal funding for the planned 10-mile extension of BART from Fremont to East San Jose. But Khanna countered that Honda's list of achievements was sparse and the congressman had become out of touch on the issues. Honda was endorsed by political heavyweights such as President Obama, Gov. Jerry Brown, state Attorney General Kamala Harris and Rep. Nancy Pelosi, D-San Francisco. Khanna's endorsers featured an impressive array of major Silicon Valley executives including Facebook chief operating executive Sheryl Sandberg, Google Inc. head Eric Schmidt, Yahoo! CEO Marissa Mayer and other business leaders from tech firms like Microsoft, Oracle and Yelp.